We quite possibly don't know all the Pools in Staten Island. Are you missing any? Contact us!. Are you a common swimmer? Have you ever practiced Aquagym in Staten Island? Let us know!. The ideal varieties of Staten Island Swimming Pool are located mainly in big cities, but it's also easy to find public pools in rural locations. Not all countries are the identical, and swimming rules and regulations are changing from one country towards the other. So, if this is your first time looking for varieties of Staten Island Swimming Pool, make sure you call the premises just before you drop by. Going to a Staten Island Pool is escalating particularly within the elderly population sectors of Staten Island, who have suffered some type of muscle or bone damage. Swimia.com has the most up-to-date database on the internet about nearly any Staten Island Pool. Classified by countries, regions and cities, it really is easy to find the nearest pool at the locations you visit. 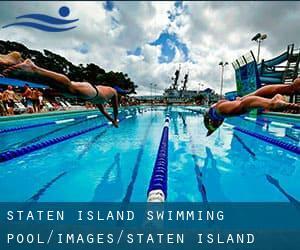 For Staten Island, you possibly can have a look at the pools we have gathered for you. 651 Broadway , West Brighton , Staten Island , NY , USA (Postal Code: 10310). Among all of the activities offered by the center, if you are enthusiastic about swimming you are going to enjoy 20 yards x 40 feet, 4 lanes, Indoors. Just in case you need to contact this Pool before dropping by, we only know the phone number. 3939 Richmond Avenue , Eltingville , Staten Island , NY , USA (Postal Code: 10312). This sports center delivers 25 meters, 6 lanes, Indoors. For this Pool, only phone number is number here. 2800 Victory Boulevard , Staten Island , NY , USA (Postal Code: 10314). This sports center provides 25 meters, 8 lanes, Indoors. For this Pool, only phone number is number here. There are various reasons why you might want to choose a heated swimming pool in Staten Island. One of the most important one relies on the significance of keeping the body temperature stable. If the water is too cold, your body will try to warm it up and you will lose strength to swim properly. There are lots of alternative treatments to chlorination, with amazing benefits that guarantee better water excellent in the pool. One possibility will be the mineralizer, which purifies water naturally and significantly decreases the chemicals employed and maintenance time. Try Chlorine Free pools in Staten Island. One of the advantages of outdoor swimming in Staten Island is the possibility to sunbathe during the summer season. Taking it with extra care, sunbathing is healthy given that introduces Vitamin D into the body, so the best option seems to be switching amongst indoor and outdoor pools depending on the season. 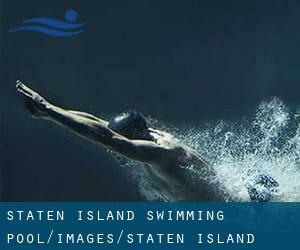 If you're tired of having eyes and irritated skin, locating a saltwater pool in Staten Island can be the answer. It's best to know that the level of salt from these pools is nicely beneath the level of salt from sea water, particularly they're talking about a tenth or less. Enjoy the best indoor pools in Staten Island and don't worry about the weather. These facilities are open all seasons and you can enjoy a swim at the same temperature every day of the year.